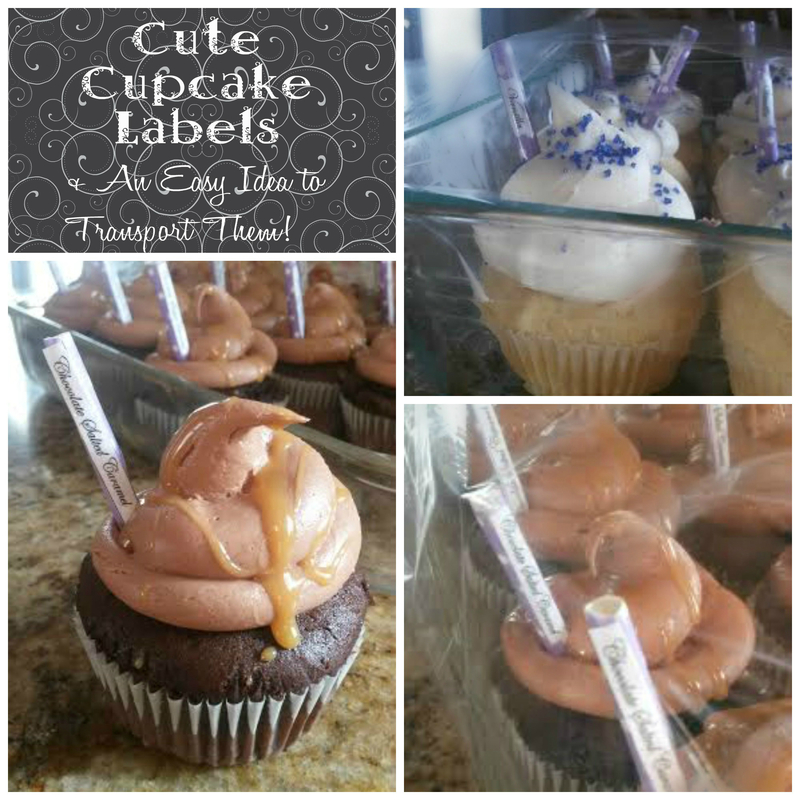 An easy cupcake label for helping guests find their perfect flavor, plus an easy way to transport cupcakes! Tasked with making cupcakes for my nieces birthday party, I had only one dilemna. Transporting them for an hour and a half car ride. And I had more cupcakes than cupcake holder containers. I’ve seen different methods online but came up with my own. I cut paper straws into thirds, then printed out labels with the different flavors of cupcakes. 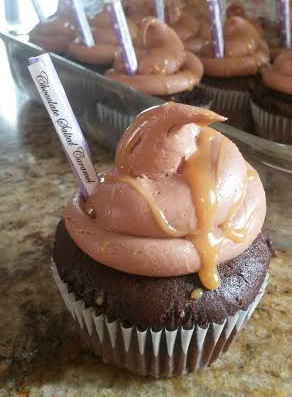 (This made it easy for those with allergies to find cupcakes they could eat). I then attached the labels to the paper straws, placed the paper straws into each cupcake and put them onto baking sheets to transport. I covered the pans and cupcakes with loosely placed plastic wrap. Yes, if you place the cupcake straws so they are situated just slightly above the frosting line, you don’t have to worry about the plastic wrap sticking to the cupcakes. It’s easy and doesn’t require you buying cupcake containers.